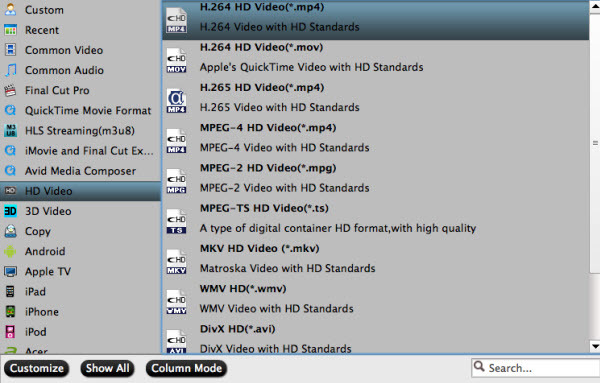 Handbrake has long been considered as one of the most popular free DVD rippers for Mac users because of its open source and easy-to-use interface. But its Achilles' heel is that it doesn't seem to work with Mac OS X El Capitan even though this free DVD ripper claimed to support the latest Mac OS X 10.11. 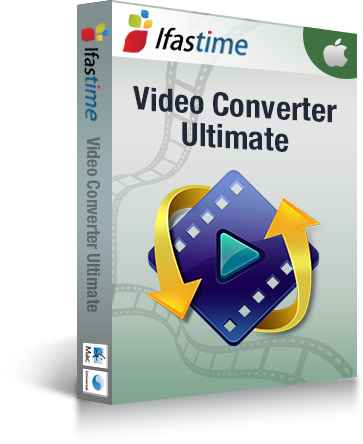 Considering a great many of Handbrake users suffer from Mac incompatibility problem, this article recommends you iFastime Video Converter Ultimate for Mac, a Handbrake alternative for Mac, which is a professional and easy-to-use DVD ripping, copying and video conversion software for Mac OS X 10.11 to tackle the issue and help you rip DVD and convert video on Mac OS X 10.11/10/9/8/7/6/5 without getting a hitch. The Windows version is also avaliable which supports Windows 10 completely. With simple operation and Mac OS X 10.11 compatible traits, it's second to none to rip DVD to MP4, MKV, AVI, FLV and MOV, etc, making it greatly fulfill the DVD copying and ripping process for both amateurs and professionals. What's more, it is regarded as the best video converter for Mac El Capitan and the top Blu-ray Rippper for Mac El Capitan. Compatibility Fully support Mac OS X El Capitan Bad compatibility with Mac OS X 10.11. It always crashes on Mac OS X El Capitan computer. 4. Blazing fast ripping speed and highest output quality. 5. Optimized profile for iPad Mini/Air/Pro, iPhone, Apple TV, Samsung, TV, etc. 1. Handbrake v0.9.9 holds presets for iPad, iPhone, iPod and Apple TV. But for the latest iPad Air 2, iPad Mini 3 with Retina, iPhone 6S/6 (Plus)/5S/5C, etc, these presets are unavailable or they won't produce the best quality for your latest iOS devices. 3. Deinterlace videos with Handbrake's "Picture Settings"
Now free download the best Handbrake Alternative for Mac OS X El Capitan to rip DVD and convert video files without any limits. 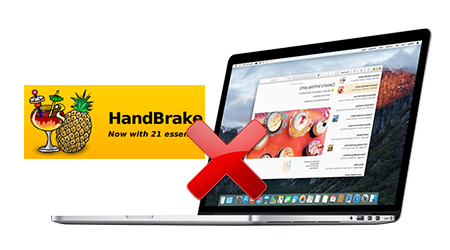 Launch the best HandBrake alternative for Mac El Capitan, you can click "Load file(s)" button to load DVD movies or SD/HD/4K videos from your computer hard drive. Please remember to insert the disc into computer DVD-ROM just before the disc loading. Tip: For desire subtitle and audio track selection, you can open the drop-down box of "Subtitles" and "Audio tracks" to do the selection. Click the Format bar and you can choose a regular video and audio format like MP4, MOV, MKV, WMV, AVI, FLV, MP3, WMA, WAV, M4A, etc as you need. And if you want to convert your DVD/Video for playing on portable devices, you can find the preset of your device and set it as the output format to get videos with optimized setting for your device. After finishing all necessary settings and editing, you can click the bottom-right big "Start conversion" button to start the DVD ripping or Video converting process with this alternative to Handbrake for Mac El Capitan. The conversion will be finished within a short while. Just enjoy. One of the features that I liked about handbrake was the ability to rip individual chapters as opposed to the whole movie … can I do that with this software?